LaVonne Leone Godfrey, the daughter of Lloyd and Oma (Steinhilber) Godfrey, was born December 10, 1934, in Fort Dodge, Iowa and died January 19, 2019, at the Friendship Home in Audubon, Iowa at the age of 84 years, 1 month, and 9 days. LaVonne’ s mother died when LaVonne was 15 months old, and her grandparents had a large impact on her as they helped her father care for her. She was baptized and confirmed in the Methodist Church. LaVonne started first grade in Barnum, Iowa then attended school in Havelock, Alta, Aurelia, and moved to Adel, Iowa where she attended High School graduating with the Class of 1953. She then studied at the Iowa State Teacher’s College in Cedar Falls, Iowa receiving her 2-year teaching certificate in 1955. LaVonne later finished her Bachelor of Arts Degree in 1967 from Drake University in Des Moines, Iowa. She began teaching in the Audubon Elementary School in 1955. LaVonne taught in the Audubon Community Schools for more than 36 years retiring in 1991. 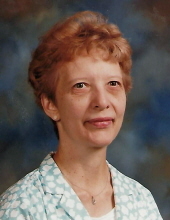 LaVonne was a member of the First United Methodist Church in Audubon, Iowa. She was a member of the Audubon Retired Elementary Teachers Organization. She always enjoyed the fourth Monday of every month when all the neighborhood ladies would gather at her home for coffee and goodies. LaVonne enjoyed traveling in the summers to many interesting places in the United States. She enjoyed knitting, crocheting, counted cross stitching, and working on jig saw puzzles. LaVonne had made more than 17 Christmas stockings for three generations of nieces and nephews, making sure each one was different. Preceding her in death were her parents; her step-mother Zelma Godfrey; an infant sister, her sister Bernadine and husband Bill Glawe; her brother Dennis Godfrey; and her nephews Roger Honsbruch and David Godfrey. Survivors include her nieces Barbara Godfrey of Minneapolis, Minnesota, Patricia Honsbruch of Hubbard, Nebraska, Sharon Glawe of Kissimmee, Florida, Donna Glawe of Cherokee, Iowa, and Dana Godfrey of St. Paul, Minnesota; her great-nieces and great-nephews Heather (Glawe) Centeno of Kissimmee, Florida, Greg Honsbruch of Lafayette, Indiana, Brent Honsbruch of Sioux City, Iowa, Kelsey (Honsbruch) Porambo of Naples, Italy, and August Godfrey and Thomas Godfrey both of St. Paul, Minnesota; her sister-in-law Sandra Godfrey of Downingtown, Pennsylvania; other nieces and nephews, other relatives and many friends. The family will meet with friends on Friday morning, January 25, 2019, from 10:00 a.m. until the time of the service at the First United Methodist Church in Audubon, Iowa. Funeral services will be conducted by Pastor Kathy Kluis on Friday, January 25, 2019, at 11:00 a.m. at the First United Methodist Church in Audubon. Interment will be in the Storm Lake Cemetery in Storm Lake, Iowa. The casket bearers will be John Roberts, Ed Swain, Roger Bylund, and Doug Weston. To plant a tree in memory of LaVonne Leone Godfrey, please visit our Tribute Store. "Email Address" would like to share the life celebration of LaVonne Leone Godfrey. Click on the "link" to go to share a favorite memory or leave a condolence message for the family.